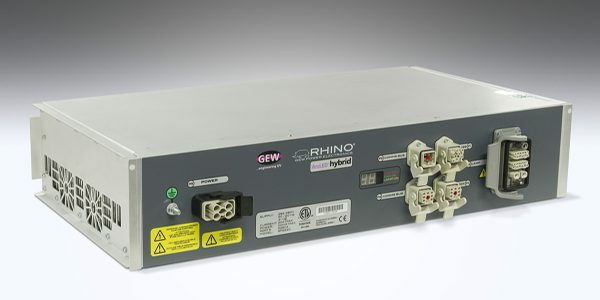 UK manufacturer of UV curing systems GEW has announced that the company’s Rhino Power Supply has achieved the ETL Listing from Intertek, a nationally recognised testing laboratory approved by OSHA (Occupational Safety & Health Administration). The ETL mark certifies that Rhino meets the requirements of all applicable safety legislation in the USA and Canada. Equivalent to the well-known UL listing, the ETL listing will enable customers to integrate Rhino into their machines without requiring additional electrical safety inspection and gives customers added quality reassurance. The listing, which places continuous inspection requirements on the company and its suppliers, demonstrates GEW’s ongoing commitment to continuous improvement in electrical design and safety standards. Malcolm Rae, managing director of GEW, commented: “We take pride in designing and engineering all of our systems to the highest possible standards, to be robust and to perform in demanding situations. The Rhino power unit is integral to this reliability and we are delighted that it has achieved Intertek’s ETL seal of approval. “This certification is an endorsement of our quality standards and will assure customers that Rhino meets the applicable health and safety laws across the USA and Canada. It will also remove any need for the customer to have further testing carried out on Rhino components upon installation, saving considerable time and expense.